A beautiful garnet gemstone cross pendant crafted in .925 sterling silver which reminds us of the romantic and beautiful Scripture passage from the Song of Solomon: "I am the rose of Sharon, and the lily of the valleys" (2:1). 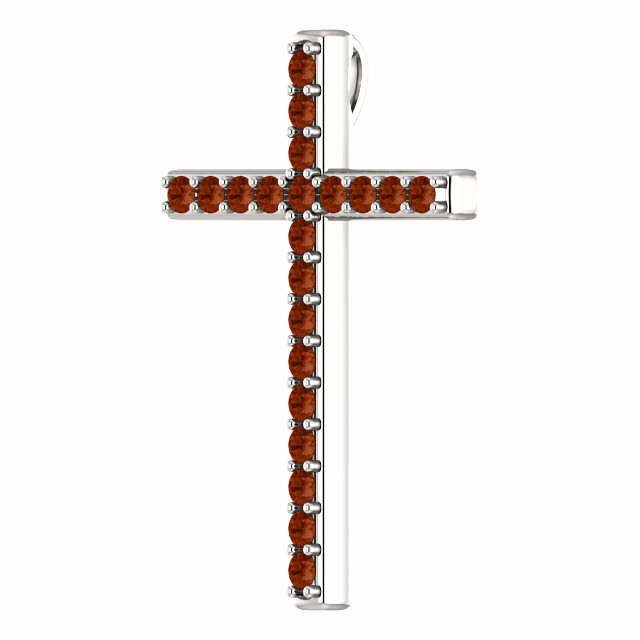 The gemstone cross is set with 2mm round mozambique red garnet gems that are an "AA" rated quality stone. The pendant measures 1 1/4" x 0.85" and includes a hidden hoop/bale behind the cross for aesthetic beauty while wearing it as a necklace. 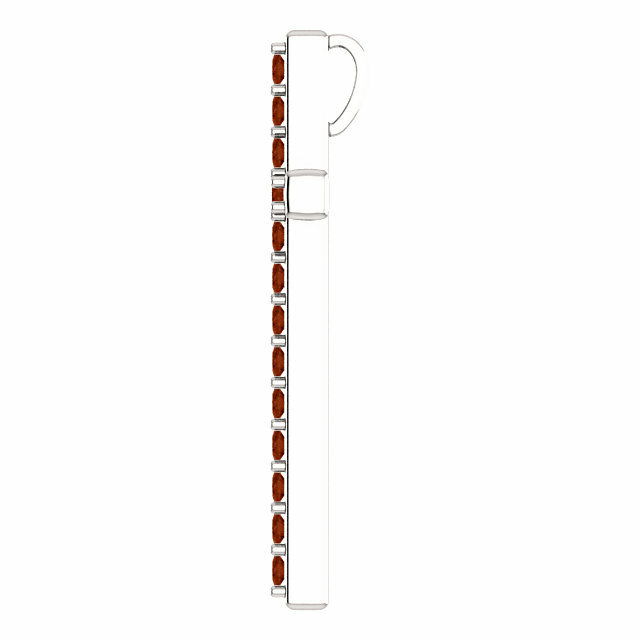 The cross is also available in white, yellow, or rose gold (shown below). 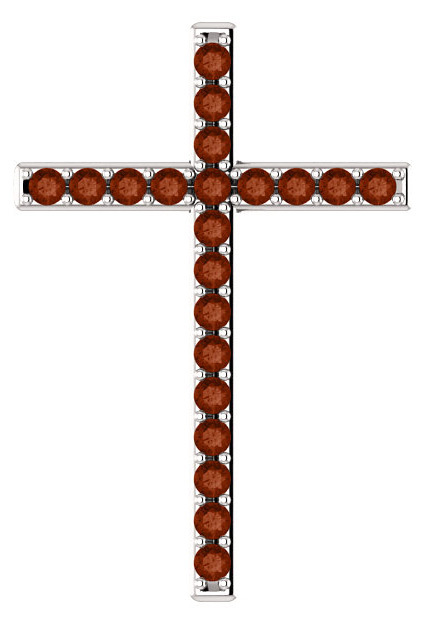 We guarantee our The Rose of Sharon Garnet Cross Pendant in Sterling Silver to be high quality, authentic jewelry, as described above.